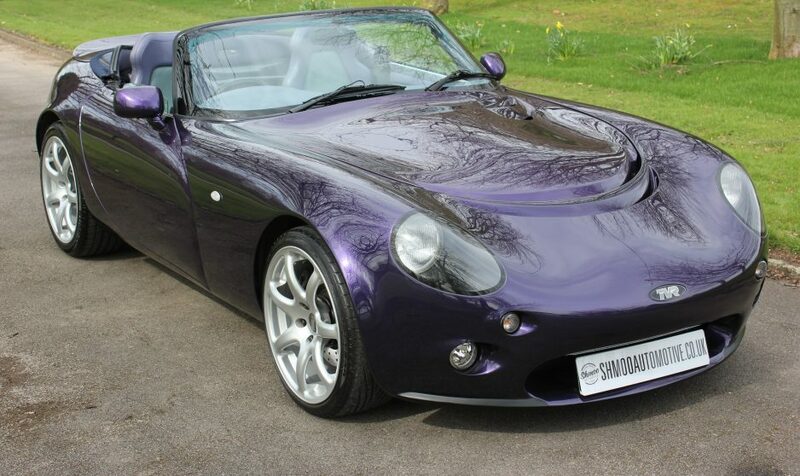 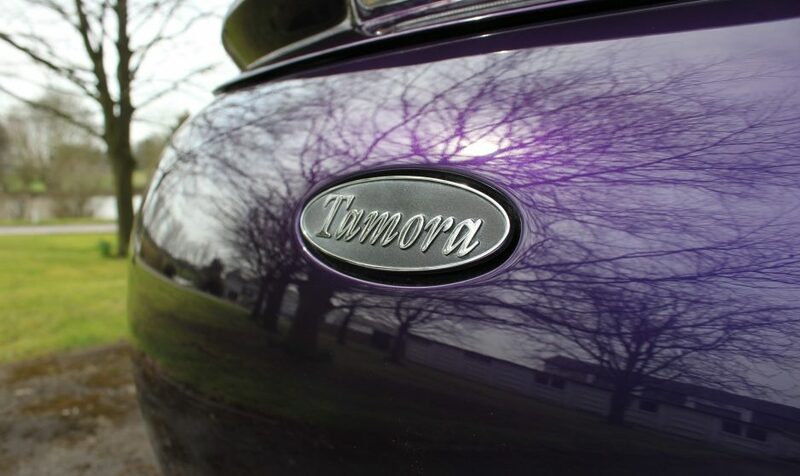 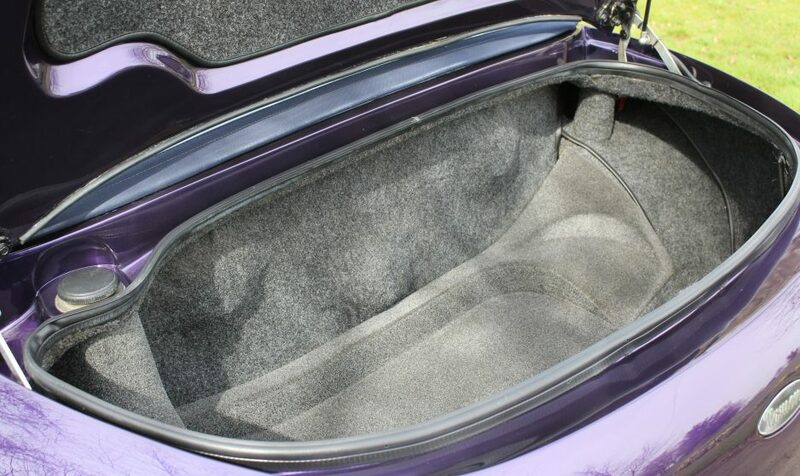 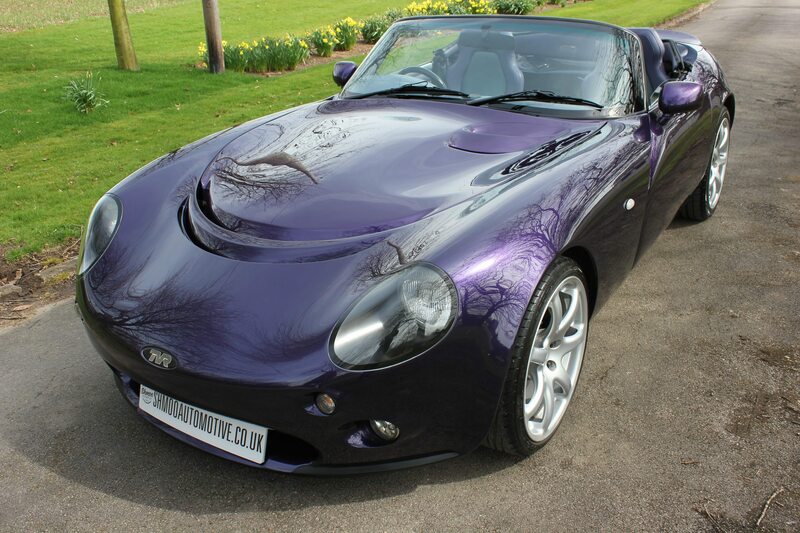 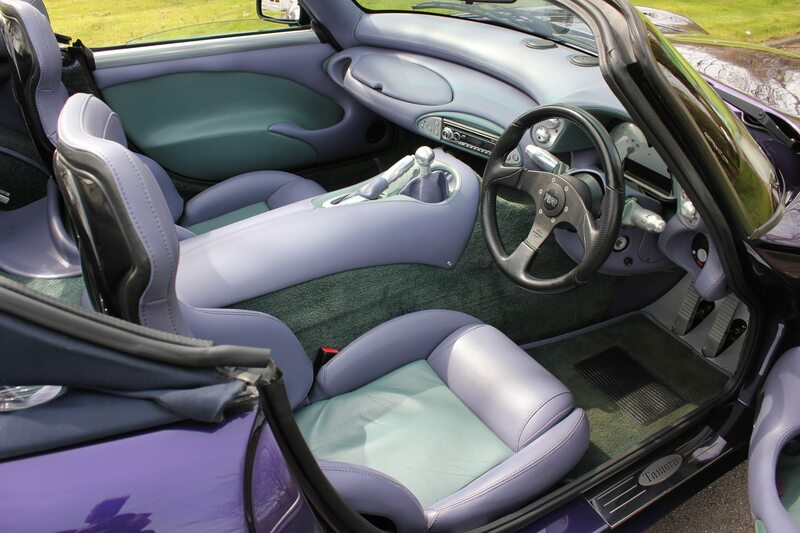 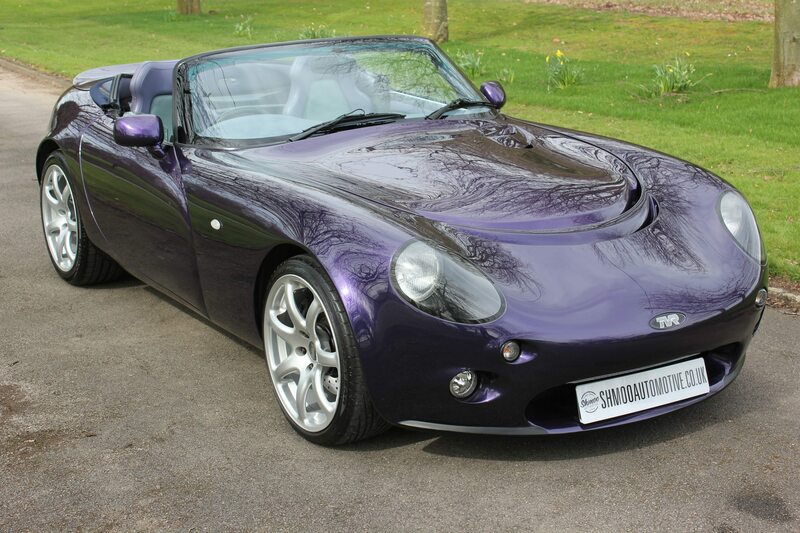 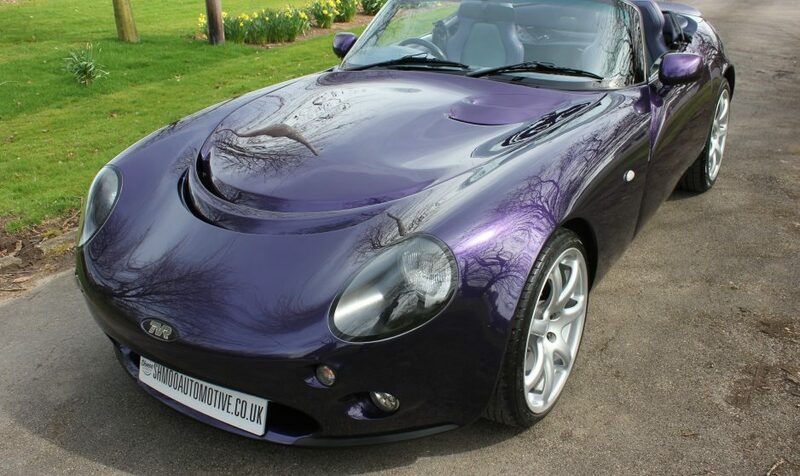 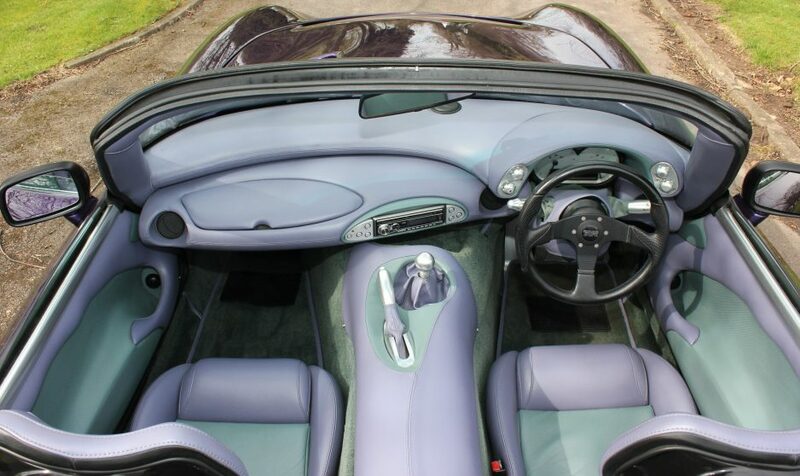 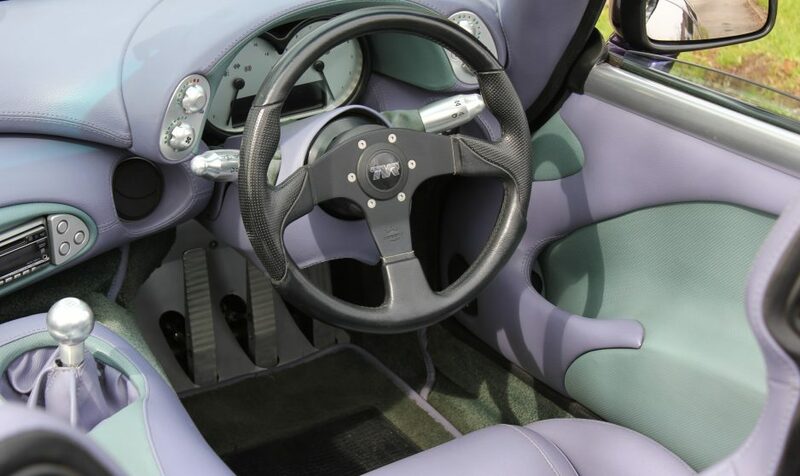 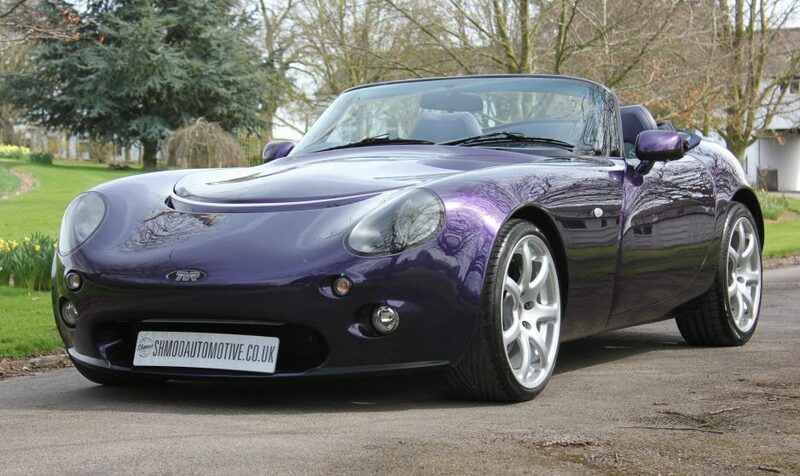 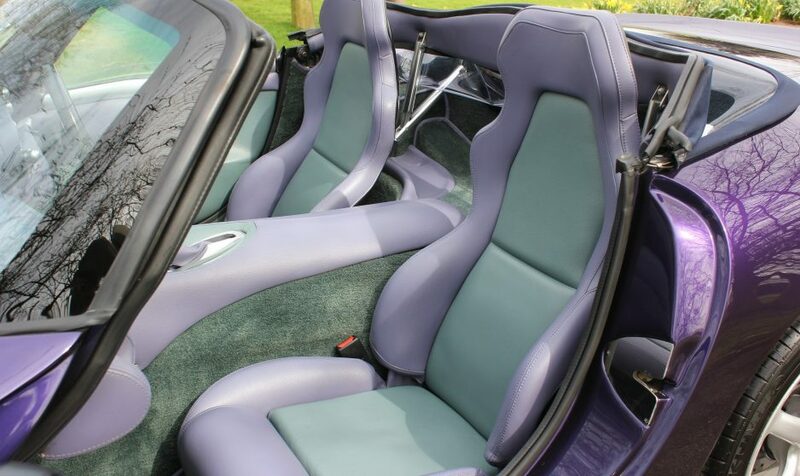 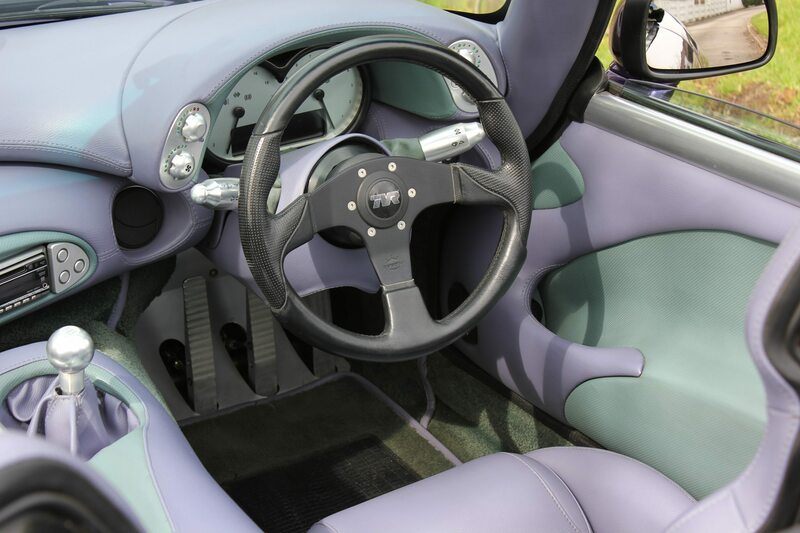 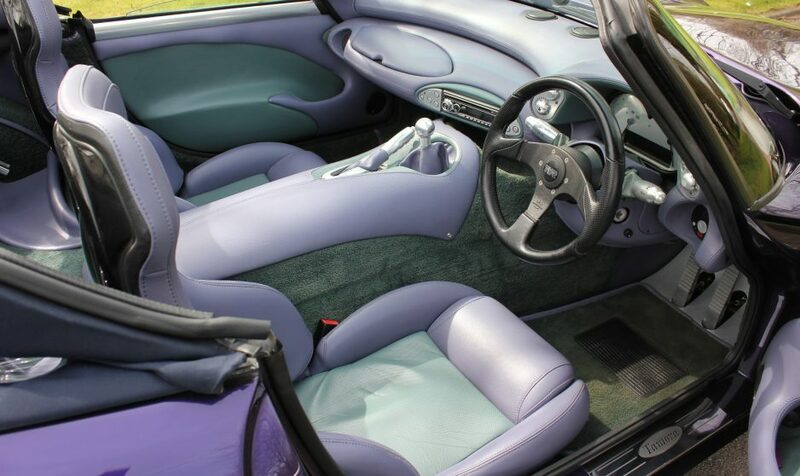 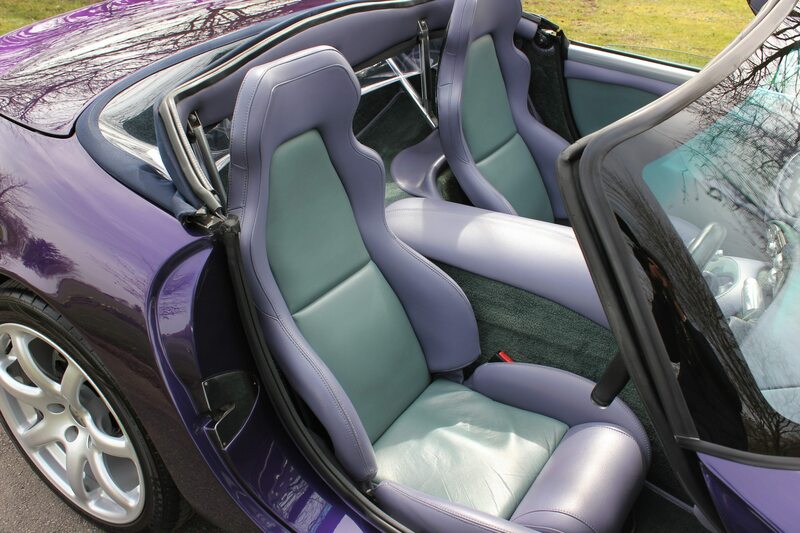 TVR Tamora 3.6 A/C – 2004/54 Plate – 15,900 miles. 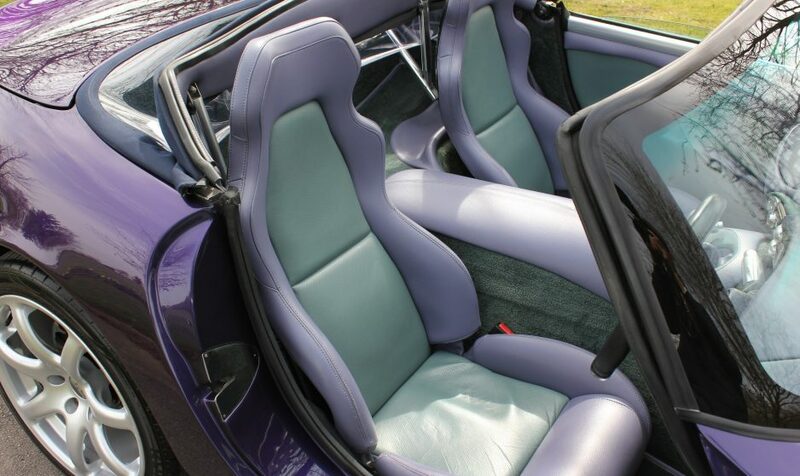 Special Notes: Perforated Atlantic Green leather to lower doors, gaiter surround, dash insert, radio surround and seat inserts. 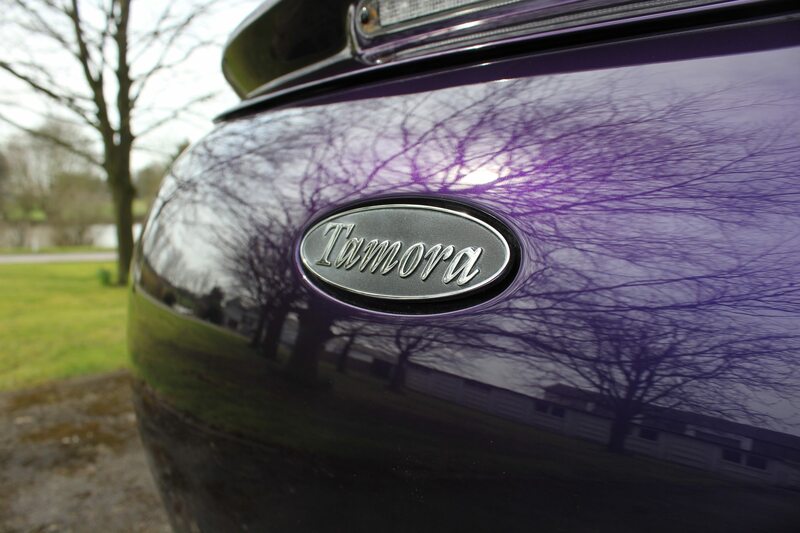 Forest Lamonta to headlining. 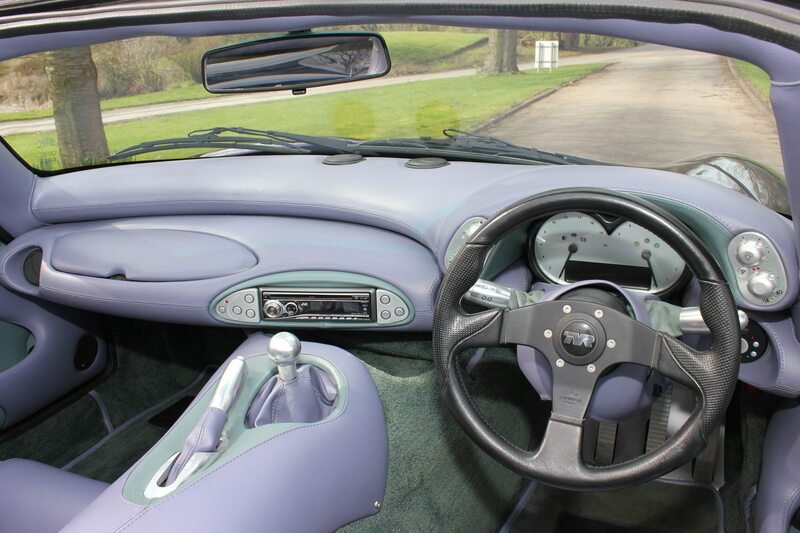 A really low mileage example, pampered throughout its life which shows in the overall condition. 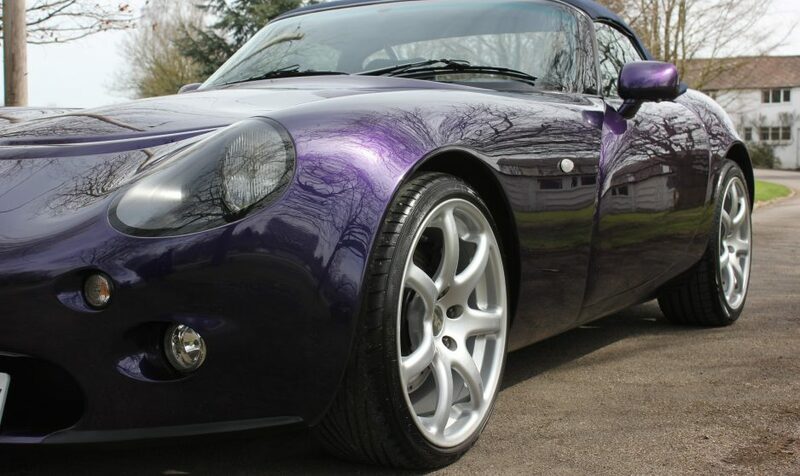 Both the paintwork and chassis are in superb order with only some light stone chipping present on the lower front end, but we’d not be looking to paint the nose as it’s original and nice to keep it that way. 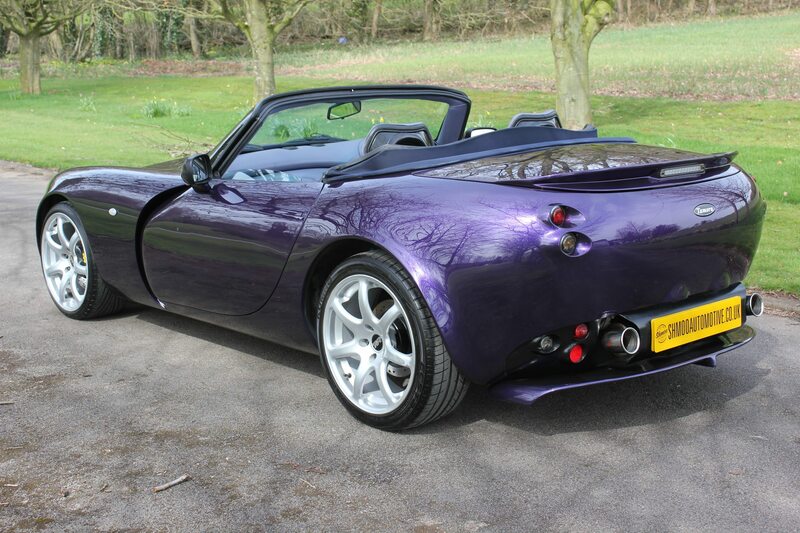 Factory Build Sheet – Where possible we order these, this car has it now in the history file. 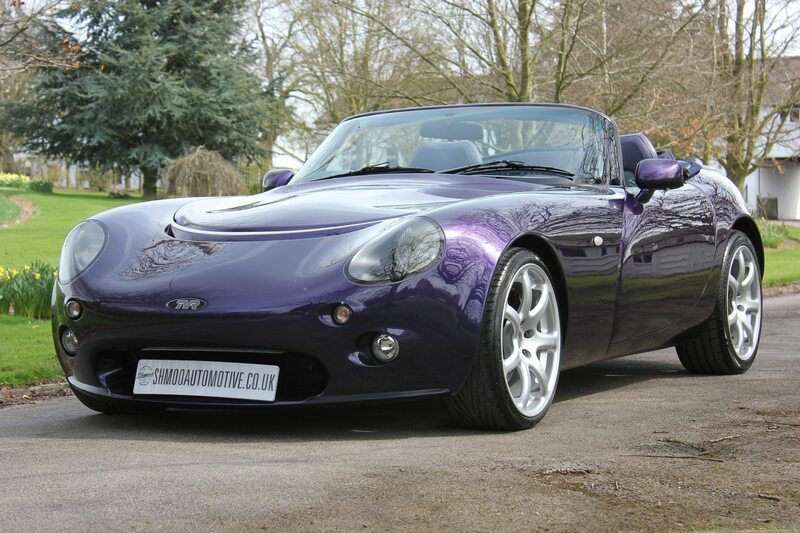 Just had tappets replaced adjusted at Power, plus a full compression check of the engine and car checkover. 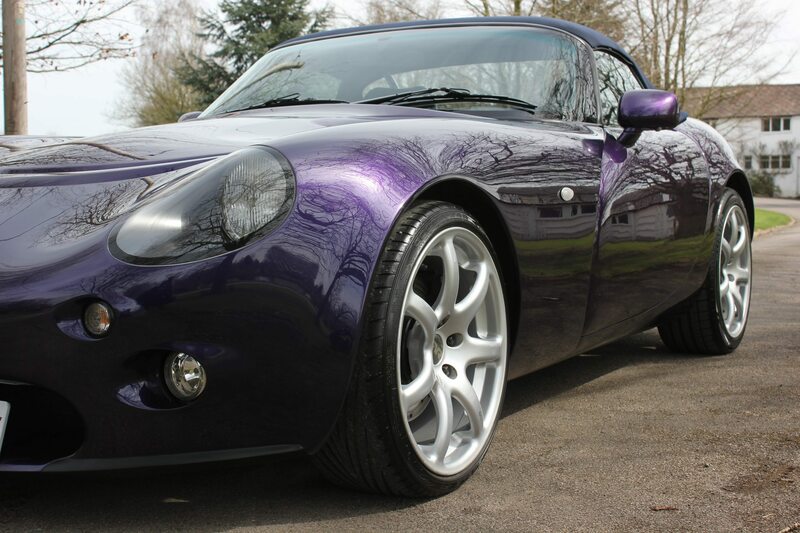 Full checkover by our TVR Tech, plus a fresh oil service and minor prep. 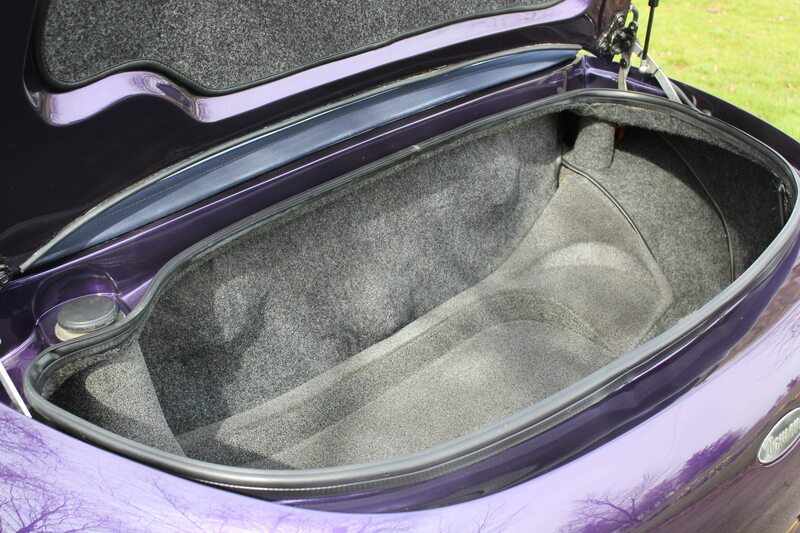 A fresh 12mth MOT will be placed on the car before collection by the next owner. 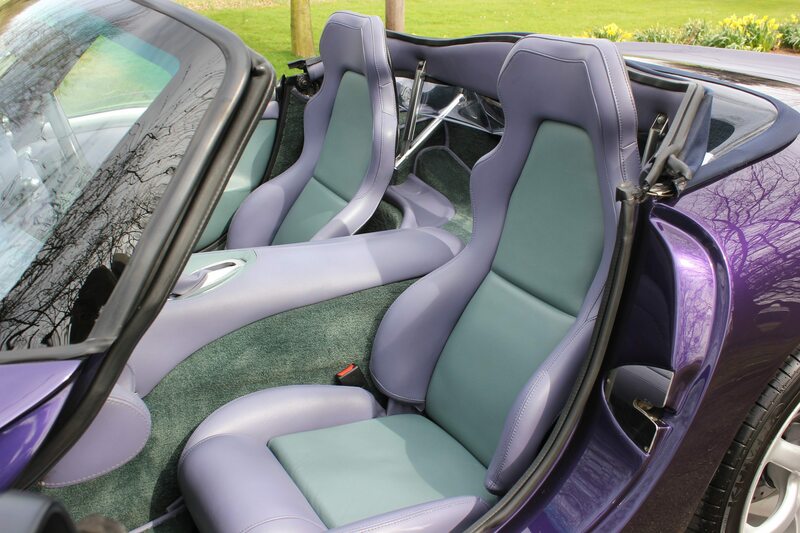 The following work was carried out by SD Autotec in the summer of 2017. 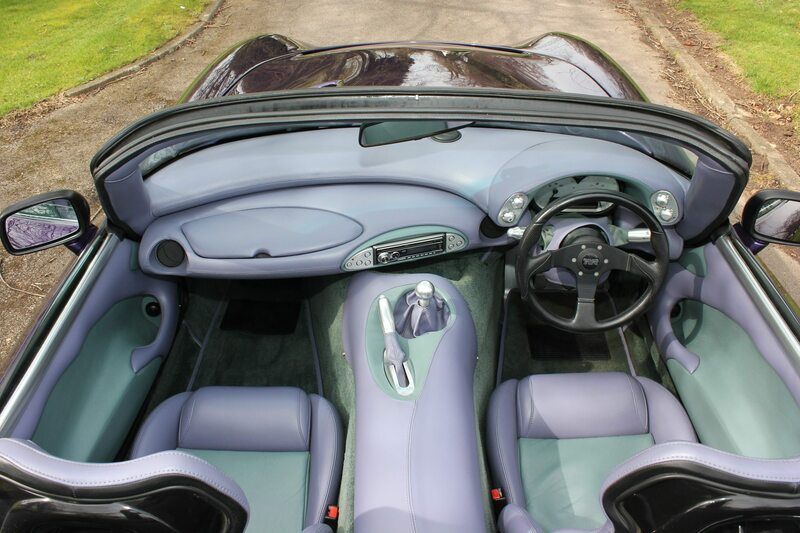 The whole clutch system was replaced due to a hydraulic leak in the slave cylinder. 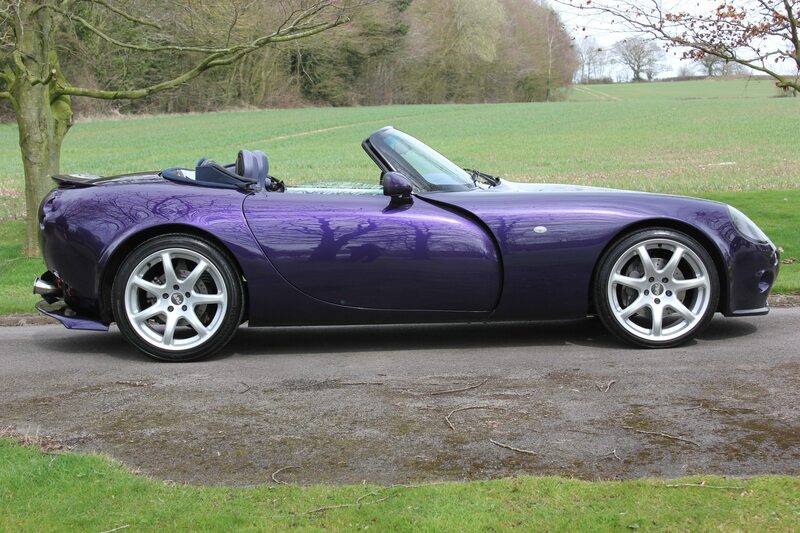 A JP sports silencer was also fitted, it does sound lovely! 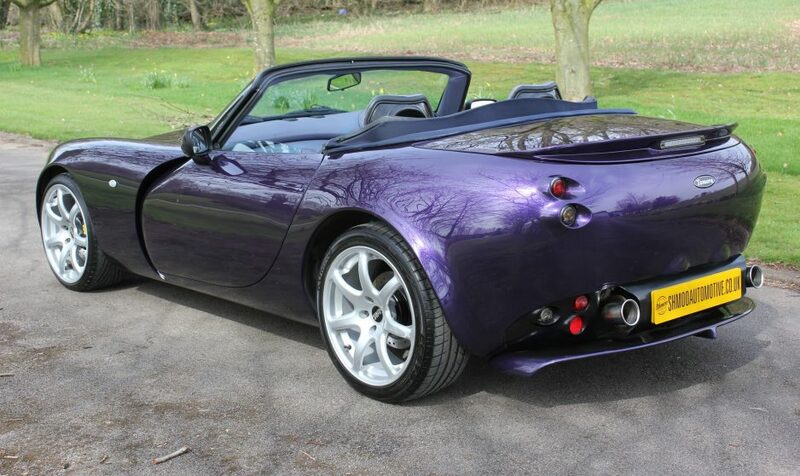 The car is fitted with Nitron Racing Red fully adjustable shocks. 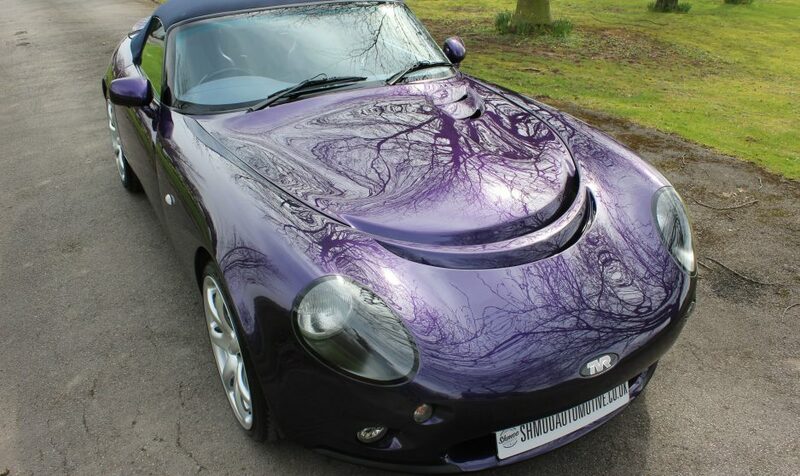 Supplied to a Mr Groves by Silverstone Performance Ltd in Sept 2004. 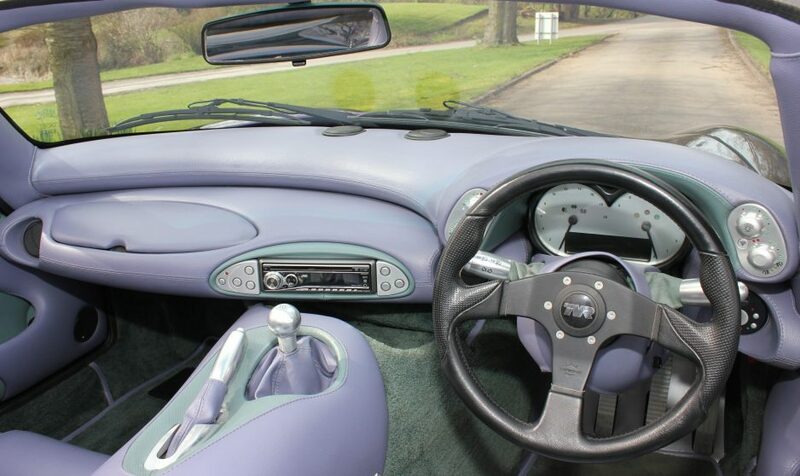 The car comes complete with all old MOT certificates to verify the mileage along with 2 keys all handbooks as per new. Please contact us for more details or an appointment to view.